In my early months coaching Texas Showdown, players first asked me where I played, then if I played, and eventually, why I didn’t play ultimate. By the offseason, players asked where I pulled my strange training ideas from. It took working with AUDL’s Austin Sol for the 2016 season to realize that my perspective as a strength and conditioning coach coming from outside the sport of ultimate is unique –interesting, even– to players in this sport. 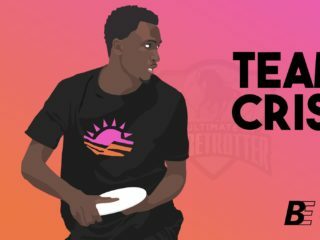 Texas ultimate players have said my suggestions are different than what they have always done. I’d like to share a snapshot off what I have seen, learned, and thought about conditioning for ultimate since January 2015. I came to ultimate professionally when a single Showdown player reached out to me in Austin, Texas that winter. She was bored in the weight room. She knew Sandy Jorgenson was lifting and sprinting, but did not know what to do herself. I took her on as a client, confused that an adult was willing to invest this much money in an activity. I thought ultimate was a recreational hobby, like beer-league kickball, where no one really keeps score. Fast forward 13 months: I had a conversation with Michael “Tank” Natenberg about training needs for Austin’s first professional ultimate team, Sol. We did hill sprints together and spoke during the walks down. He had years of experience with ultimate and strong ideas for how to get guys in shape. I had years of experience in field sports and strong ideas for how to get guys in shape. I disapprovingly expected him to want to run 18 or more full-speed sprints, based on popular workouts I had heard players brag about. Instead, he shut it down at five, when we both felt worked without being exhausted. We agreed on basic training ideas. We agreed Sol players, all first-timers in the semi-professional system, might buy into a new approach to training. My coaching philosophy is built on simple principles. Strength and flexibility are injury prevention tools. Lift heavy, not hard. Run fast to become fast. Minimize endurance training. Drink a lot of water, eat like an adult, and make time for stretching. I have coached high school, college, and semi-professional athletes using these methods. I competed in football, rugby, and track using these methods. I invest hundreds of hours each year learning from coaches who have excelled in strength and conditioning before me. I am opinionated about how to train and enjoy debating training ideas. I had many assumptions about ultimate players. Players lack structured training experience. Players are all competitive. Players are determined to win. Players need more strength and running form coaching. Players are unaware of sports nutrition principles. Players are in the sport to be the best athletes they can be. Players are absolutely committed to improvement. My exposure to the sport was through the highest levels – elite club and professional play. Despite that, I learned that several assumptions were completely wrong. Some players at the elite level were only playing for fitness and fun. 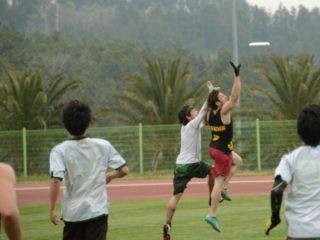 Many players were in ultimate for the camaraderie and the reason to travel. They enjoyed winning but weren’t desperately pursuing it. Many players had risen to the top through fortune, longevity, and talent. Other assumptions were correct. Very few players had ever worked with a strength and conditioning professional. While some had invested in personal training, almost none had multi-year development in the weight room or on the track. Players were well-meaning in their training intentions, knowing that they should challenge their bodies somehow in order to handle big tournament weekends. Most players knew to eat sensibly at home and bring snacks to the sideline. My flawed assumptions limited improvement for much of Showdown that year. My correct assumptions made me overestimate my potential impact. I believed four short, skill-focused lifting sessions per week were best for strength; many players didn’t have a gym membership. I believed two short, mechanics-focused running sessions per week were best for speed; most players were bored with the brevity. I was planning ultimate conditioning based on my own training and coaching experiences. Designing conditioning for Austin Sol was even more illuminating. Texas Showdown players who disagreed with my training plan would typically say nothing and ignore it. Sol players who disagreed with my training plan would say so explicitly and defy it. It became obvious that desperate-to-win, competitive players had their own vision for training. Work and family schedules were too busy for two training sessions per day, however short. Guys wanted to go the track, run hard for around two hours, do a few bodyweight exercises, then go home. Though Tank saw value in my method, my work did not live up to several players’ standards. Players also had certain assumptions. The weight room is either for sport-specific exercises or it is for arms, legs, cardio circuits in the offseason. Running mechanics take too long to develop, speed training involves too much rest to be useful, and finishing sprints exhausted feels right. Foot and ankle injuries are an inevitable part of the sport, hamstring and hip flexor pain can be managed with pain pills, and rehabbing big injuries can wait until the offseason. I modified my approach. Better to have most athletes participating, staying healthy, and getting stronger, than to have no athletes following my allegedly perfect program. New plans involved less lifting (two sessions per week with more single-leg work), more running during track sessions (speed development followed by agility training followed by some conditioning), and more writing about stretching and hydration. I stopped trying to address handlers and cutters with one training program. I trained individual athletes who wanted personal attention. Late in the AUDL season, Sol had more healthy bodies and more energy at weekend practices, with four guys saying they had never felt so good on the field. I shifted my thinking about the sport. 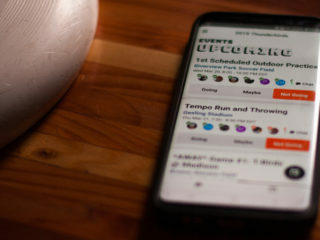 Ultimate has every one of the demands that big-ticket field sports have. Players need to be fast, strong, powerful, and resilient. Players must be able to stay focused mentally. Players want to be healthy and want the confidence of a few hard workouts behind them. This isn’t beer-league kickball. Ultimate is serious competition for people who love pushing limits. At least it is for some of you. For every player who wants professional training aimed at winning, there are probably one hundred players just trying to stay in great shape. I want to support both groups. Every one of you with a real job, real life, and passion for ultimate, you deserve to be uninjured. You deserve to enjoy your travel. You deserve to play well. You deserve guidance about becoming faster, conditioning, eating during tournaments, preventing and recovering from common injuries, and making improvements without sacrificing your life. You already have a few trusted coaches in the sport working to spread that knowledge. I am new to this game. I have a lot of wrong ideas about how to help you get better. But since January 2015, I have realized I have a few right ideas as well, unique to my experiences as a coach and athlete. I look forward to sharing some of them with you. Dunte Hector is a strength and conditioning professional and international presenter in the fitness industry. He specializes in helping rugby and ultimate players prevent injuries and become faster. He is based in Austin, TX and is the trainer for Texas Showdown and Austin Sol.